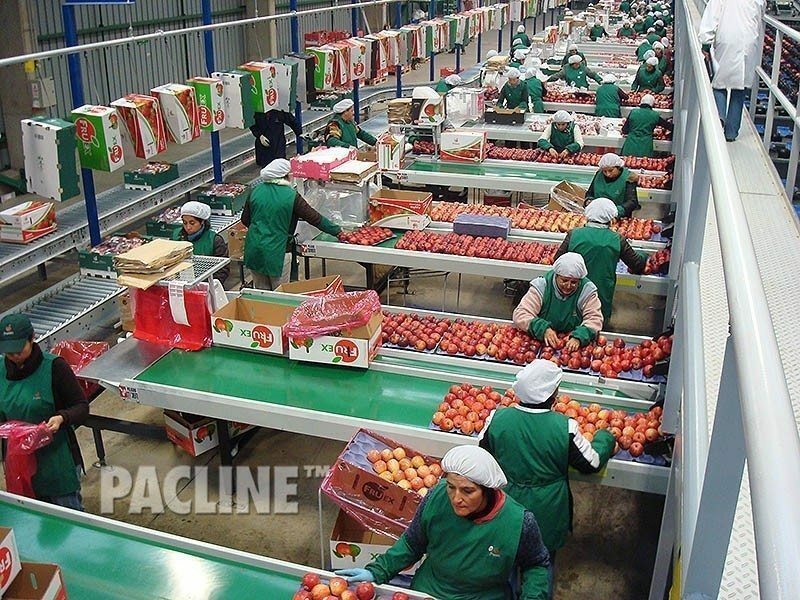 High volume apple sheds have been utilizing PACLINE overhead conveyors to help reduce labor costs and increase profits. 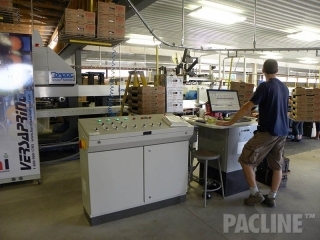 Vegetable growers often pack a variety of produce at one facility. 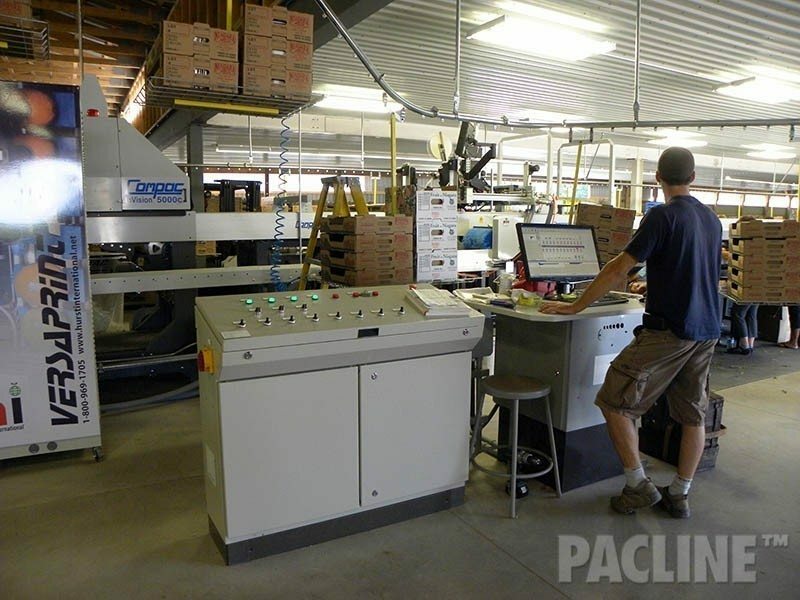 PACLINE systems with custom carriers allow packers to choose from multiple carton sizes as needed in the packing process. 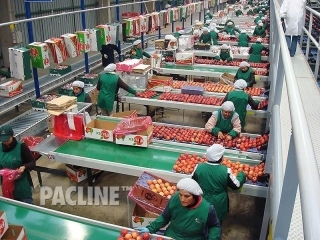 Produce like cherries are highly perishable and need to be packed out quickly and carefully. 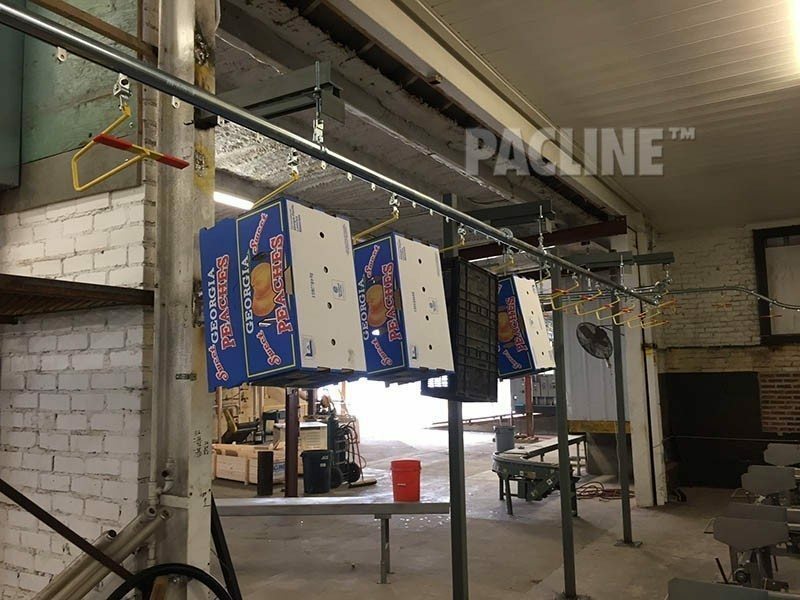 PACLINE can enhance your current operation by supplying an overhead conveyor that will improve speed and efficiency while maintaining the sanitary conditions required. Overhead conveyors are the most cost effective and flexible conveyors available. They can be routed to incline, decline or wind around equipment easily and without additional drives. Bolt together track connections with no welding make installations quick and easy. Conveyor can be ceiling mounted to leave the floor area free and clear. Or, if needed, the overhead conveyor can be installed to run over the packing line and floor equipment. 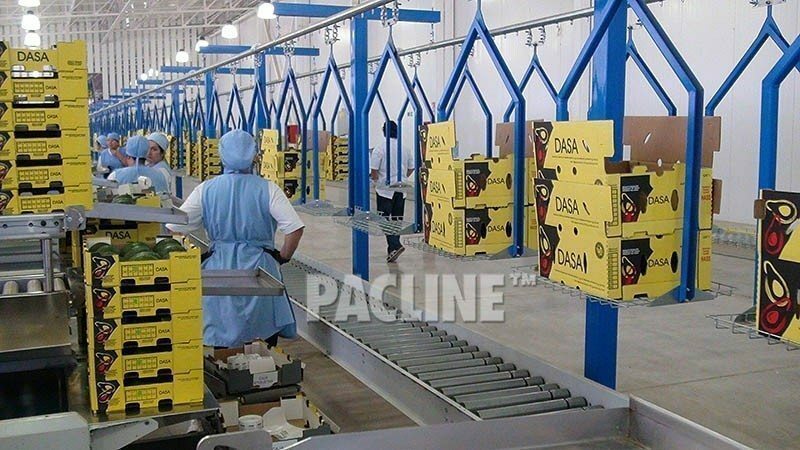 Cartons are carried over packing equipment in unused overhead space. 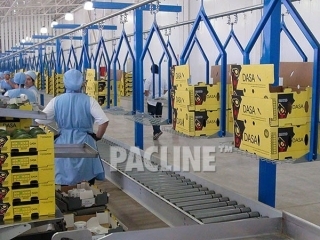 Various drip trays can be added to maintain the sanitary conditions required in food packing.